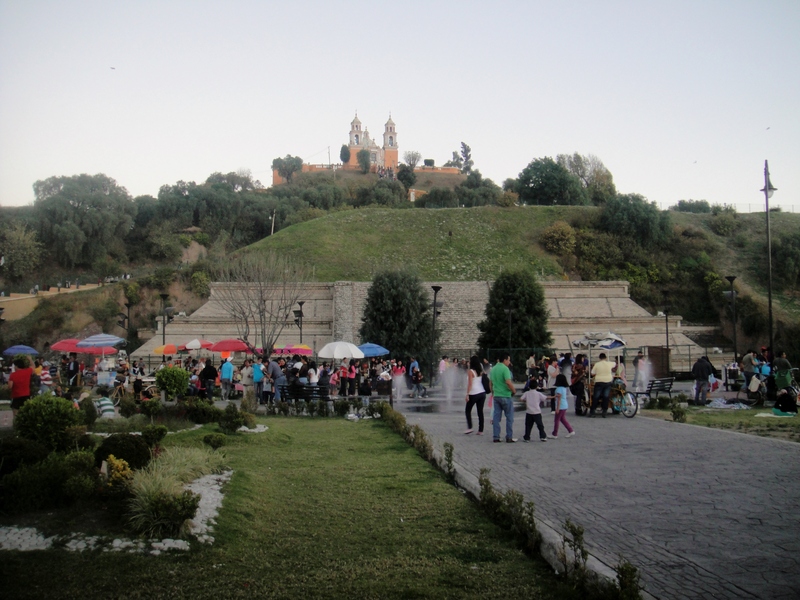 However, the Guinness Book of World Records, has documented that the Great Pyramid of Cholula is not only the largest pyramid in the world, but is also the largest monument constructed anywhere in the world. Ever. 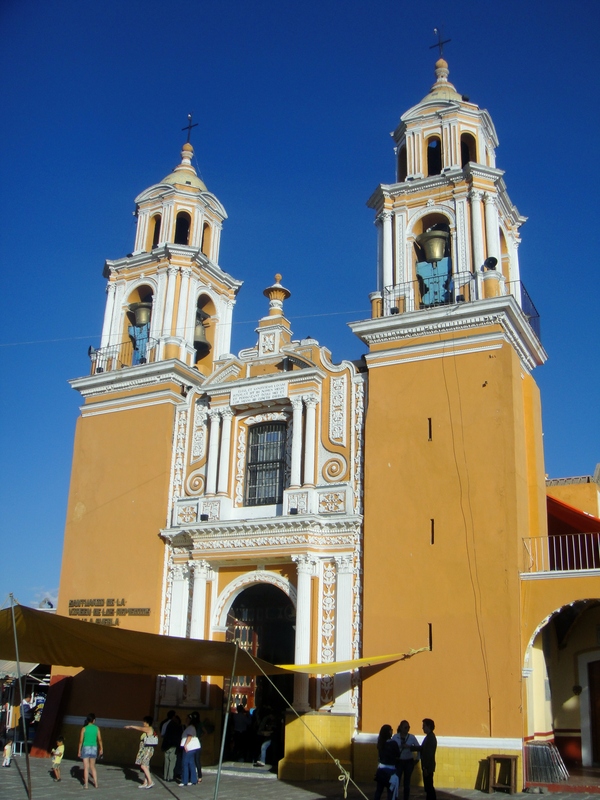 The church was built by the Spanish in 1594 right on top of the pyramid (the Catholic Church has been fond of repurposing historical religious sites for quite some time) and is now a major Catholic pilgrimage destination. 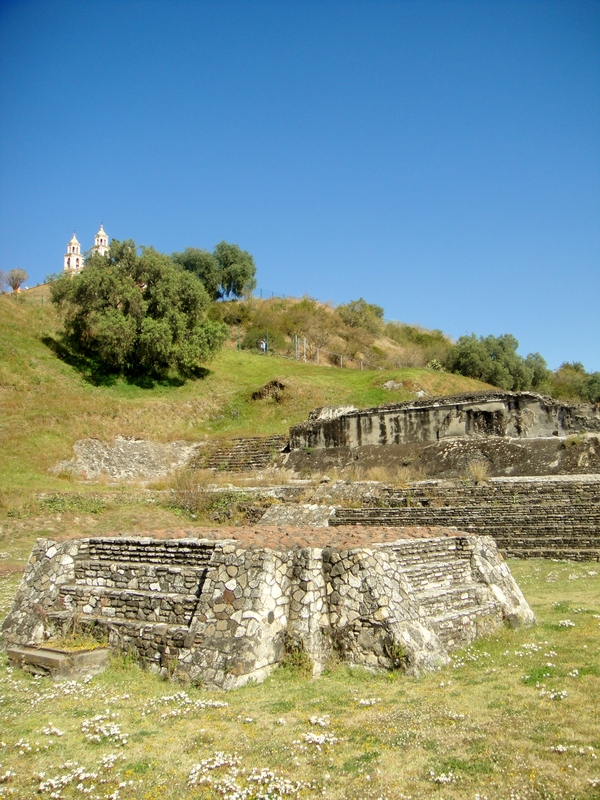 Due to the religious and historical significance of the church, which is a designated colonial monument, the Great Pyramid of Cholula as a whole has not been excavated and restored, as the smaller, but more famous pyramids at sites such as Teotihuacan, Chichen Itza and Monte Alban have. 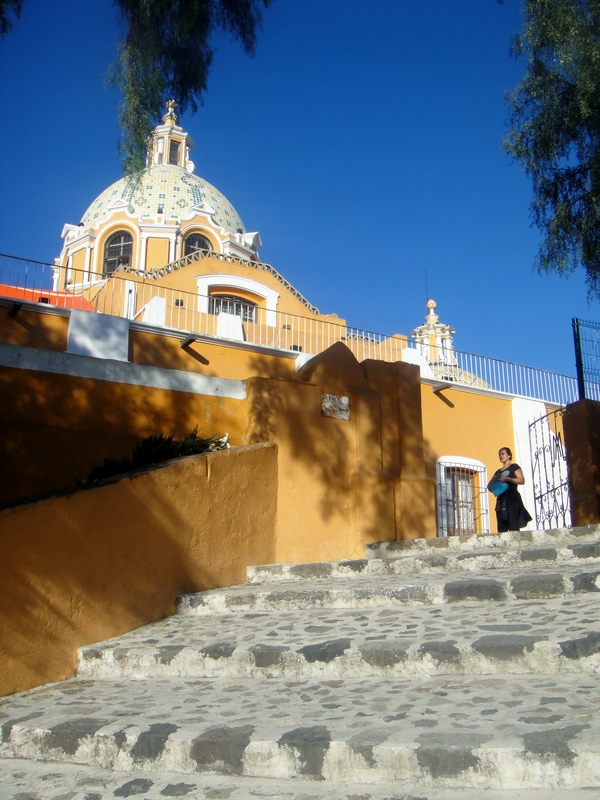 (I don’t believe many visitors realize that the better known pyramid sites in Mexico are all reconstructions, but the tourists seem to like it). 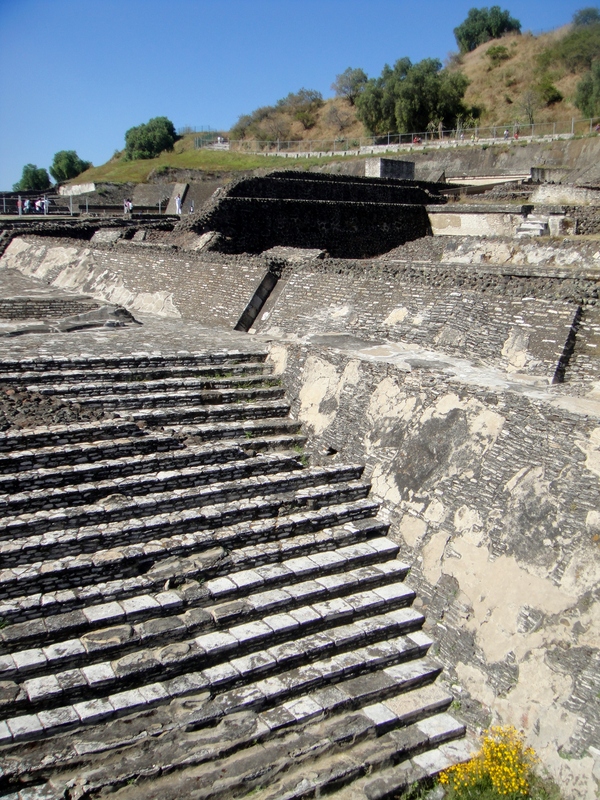 Due to the surface conditions described above and the large number of artifacts just under the surface, it is not possible to reconstruct the Great Pyramid of Cholula to what it once was. 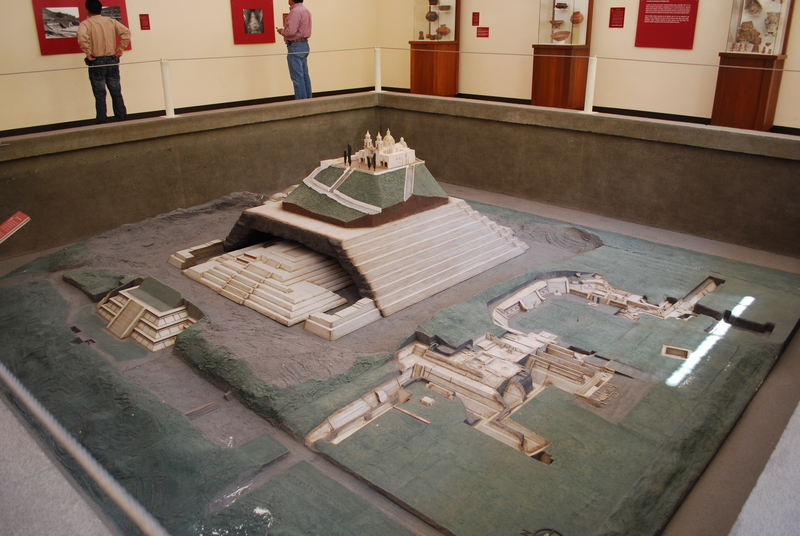 And so, without this reconstruction, the pyramid just does not receive the attention of its smaller neighbors. Everyone knows that the ancient cultures in this region of the world were keen on human sacrifice and given the number of mangled body parts and skulls from decapitated victims that have been found here, those connected to the Great Pyramid were, obviously, no exception. This section of the pyramid pictured below corresponds to the section on the far left of the model above. 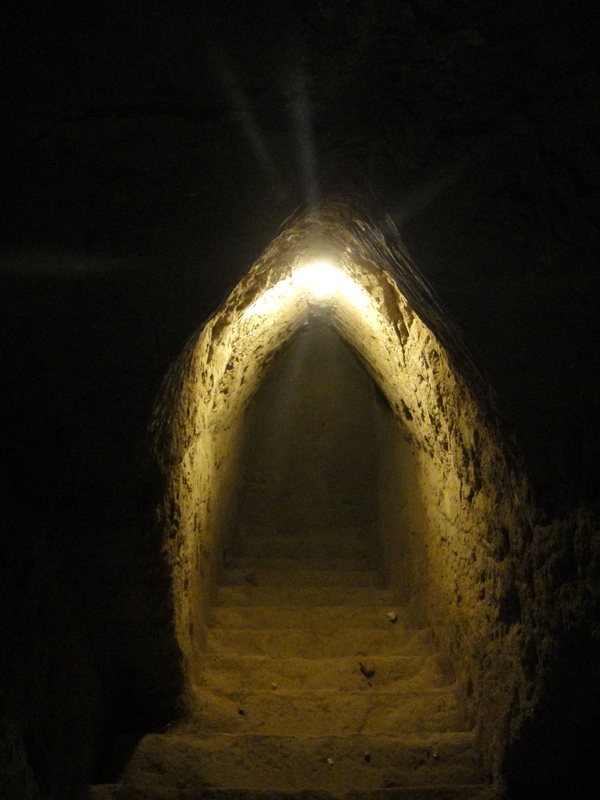 Ignacio Marquina was the first to excavate tunnels into the pyramid in order to prove that el cerrito (the hill), as many still call it, was, in fact, an archaeological treasure trove. 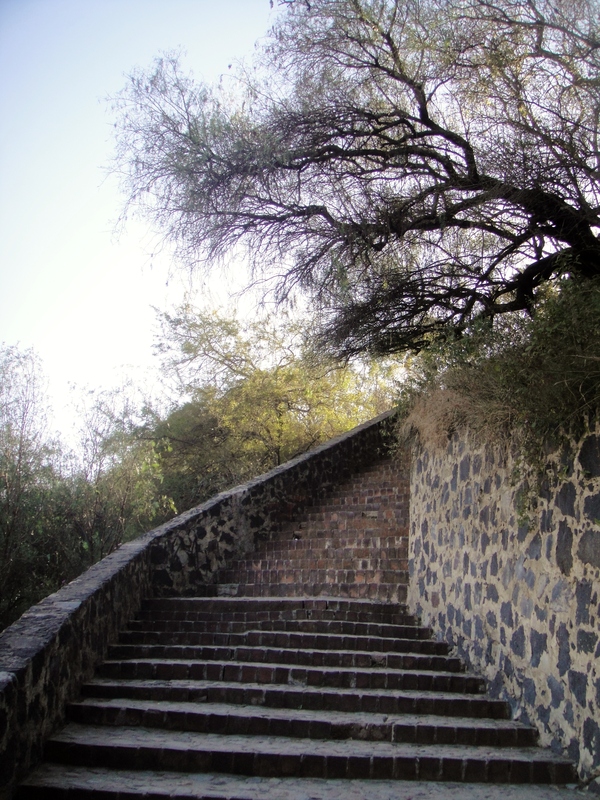 The Great Pyramid of Cholula accounts for only six hectares of what is an archaeological heritage site believed to extend over at least 154 hectares… Unfortunately, 90 hectares of this land is privately owned, and the owners are fiercely resistant to further archaeological exploration. 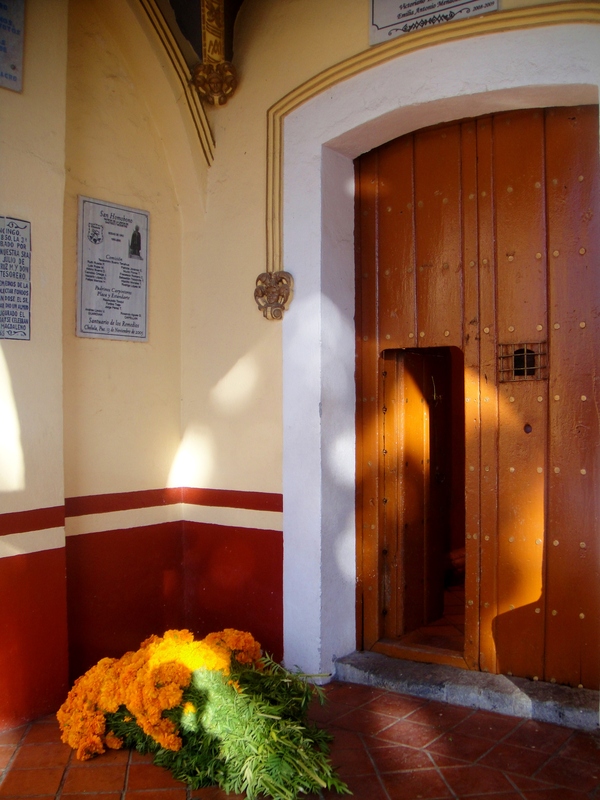 Thus, despite the pyramid’s importance to the history of central Mexico, it has not been extensively studied and has not yet played a significant role in the understanding of Mesoamerica. 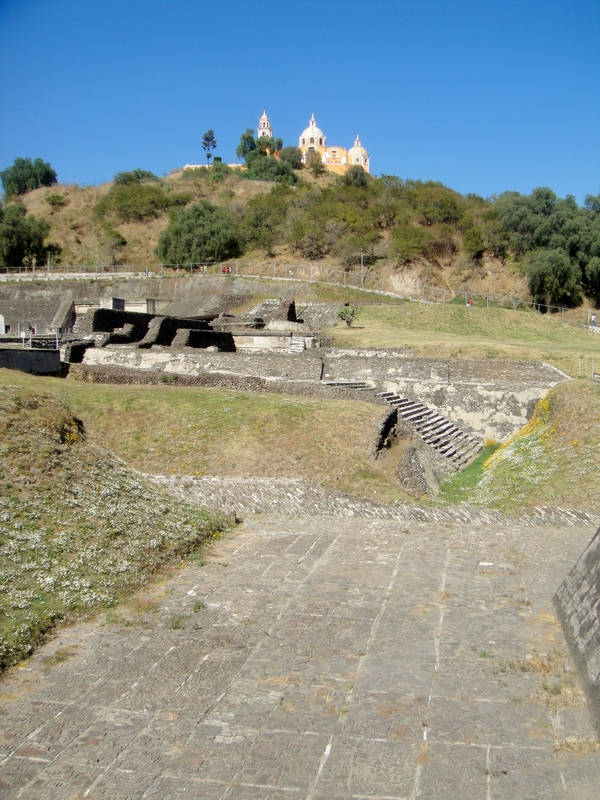 Tags: Biggest Pyramid In The World, Cholula, Eleonora Ames, Great Pyramid of Cholula, Justin Ames, Largest Pyramid In The World, Mexico, Quetzalcoatl, Quetzalcoatl Pyramid, Tlachihualtepetl. Bookmark the permalink. 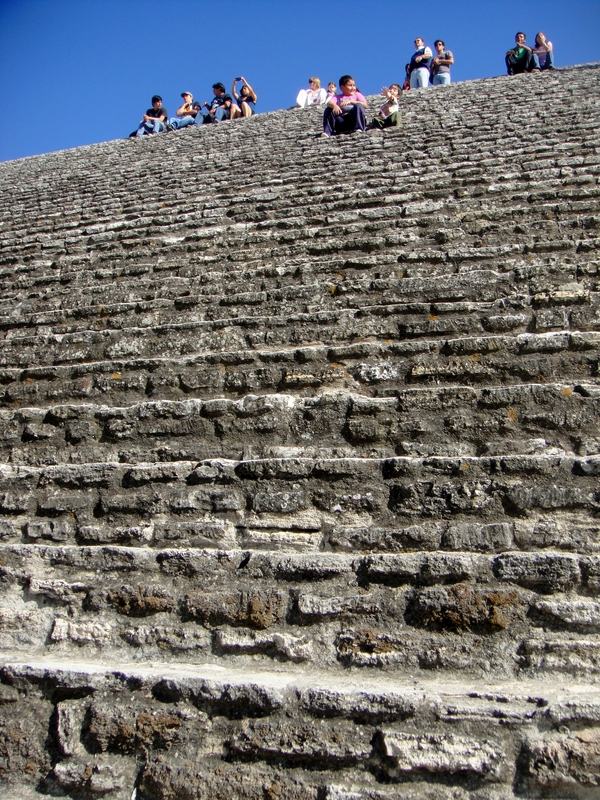 Nice piece although it is not clear that this is the largest Pyramid, notwithstanding the Guiness Book of Records. 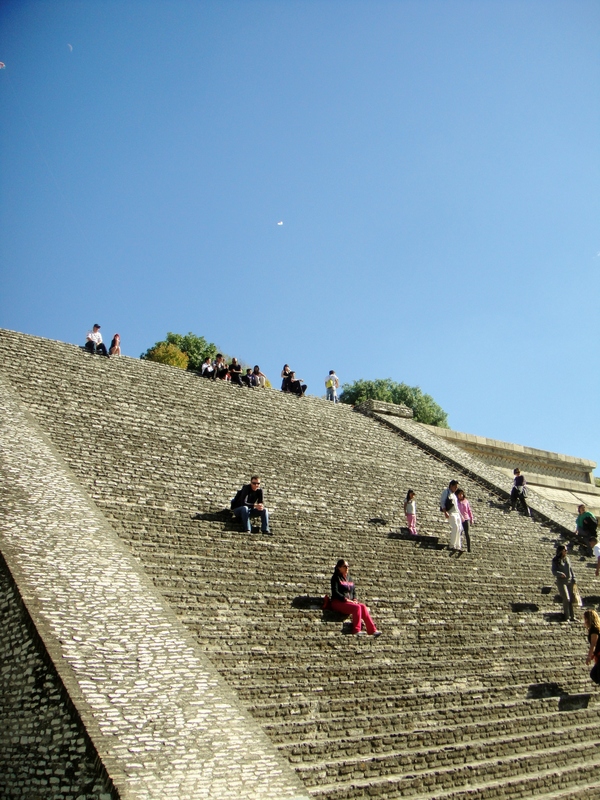 The Great Pyramid at Giza was certainly higher and has a greater perimeter than the main part of Cholula so maybe, as with so many things it depends on how you measure?